The HTC Legend is to finally get updated to Android 2.2, with HTC announcing that FroYo is being prepped for the handset. HTC Legend users must have been looking on with envy as the HTC Desire got its 2.2 update earlier in the year. The Legend came out round about the same time as the more powerful HTC Desire but news on it getting FroYo hasn't exactly been forthcoming. Lucky, then, HTC used its Facebook account to tell all that an update to the Legend was on its way. "We know that a number of you have been very vocal about wanting an update for your Legend," the Facebook post explains. "First and foremost, we would like to apologise for not responding to your ongoing pleas about the update. But we have been listening. "The update has been progressing quite well, and in the coming weeks those with unbranded Legends should be receiving the update." It seems that those with Legends tied to carriers will have to wait a touch longer, with HTC noting: "Once we finalise the update within HTC, the software must then go through the appropriate approval process at each carrier that supports Legend on their network. "This is the same process for all of our handsets, and Legend is no different. Once our update has been approved by your specific carrier, you should then receive your software update. "How long this process takes can vary, but our team is close to finishing the update and will then work with individual carriers for approval." The HTC Desire update was not without its setbacks, with O2 and Vodafone having issues one way or another with the update. 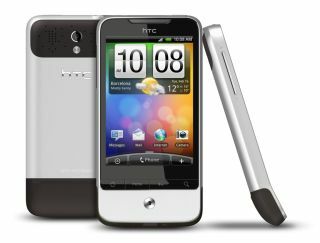 Let's hope that when Android 2.2 (FroYo) reaches the HTC Legend, all these issues have been ironed out.